So I made the mistake of purchasing a car before seeing it in person at all and then getting it shipped from Canberra to Sydney. Probably not the best thing to do when it's such an old car and there's so much that could go wrong. Anyway it's not too far gone to warrant all the trouble of getting it back into it's original state.. I've been looking at getting a RS Turbo for a few years now and decided when I saw this one it was good. Blown engine (guessing bent valve as 0 compression in cylinder 4), no rust at all, decent white paint, it's genuine and I had a fair amount of free time if anything goes wrong. I'm hoping the engine just needs new valves but I'm unsure of the km's on the engine due to it being a replacement. The stripping has already started so it shouldn't be too long till I'll be pulling the engine out. Due to it sitting for ~8 years in a barn the majority of the rubber hoses are perished and the car in general is dirty all over; spiders, dirt and the usual oil/grease everywhere. One good thing that comes out of the 8 years of nothing is the Km's on the body. Only 125,000km's. The engine is meant to be a Japanese RS engine by looking as recipts but no mention of it's km's.. When the car arrived I though I'd made a very bad mistake but slowly I've changed my mind and it's just going to be my project to bring it back to it's factory condition as much as I can. My plan is to have it at least in a decent state and registered for HVC16 or if I get luckly start on some suspension/engine mods. So when the car arrived I knew at once there was going to be alot of work needed. 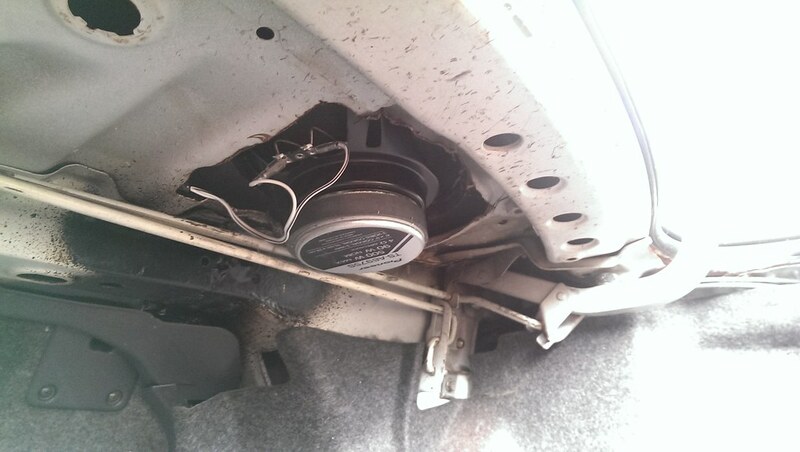 I think I found the main reason the car was dead, I couldn't believe what I was seeing.. 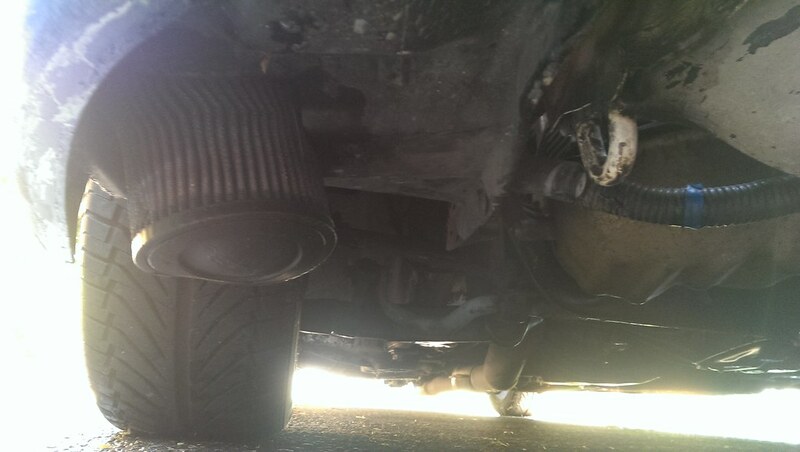 It was the first thing removed as I couldn't deal with something like this being on the car still. More evidence that its had a very hard life, I'm going to have to spend days fixing it all back up. 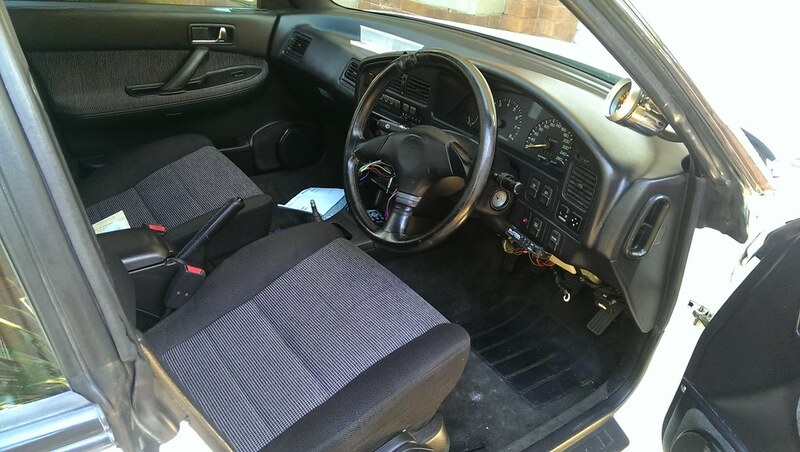 The interior is luckily is very good condition, I had a crash pad laying around so I added that asap. I've got a few small parts lined up just to finish it off completely, the most important bit being a replacement steering wheel. 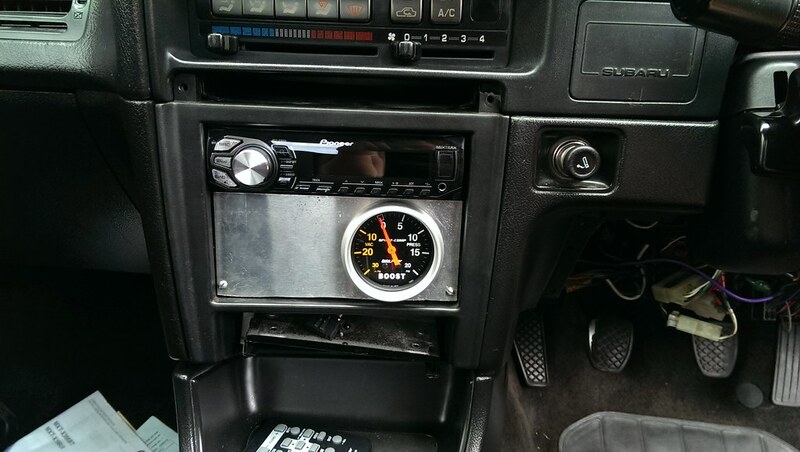 The boost gauge will have to be relocated to another spot and I'll need to run some better vacuum hose for it. This is what's happened so far to the RS, I've pretty much decided to pull the motor, get the heads cleaned and new valves put in, hope that the block is in good shape and the rings are all good..
- Manifold has a Oxygen sensor in it but it has no wires? 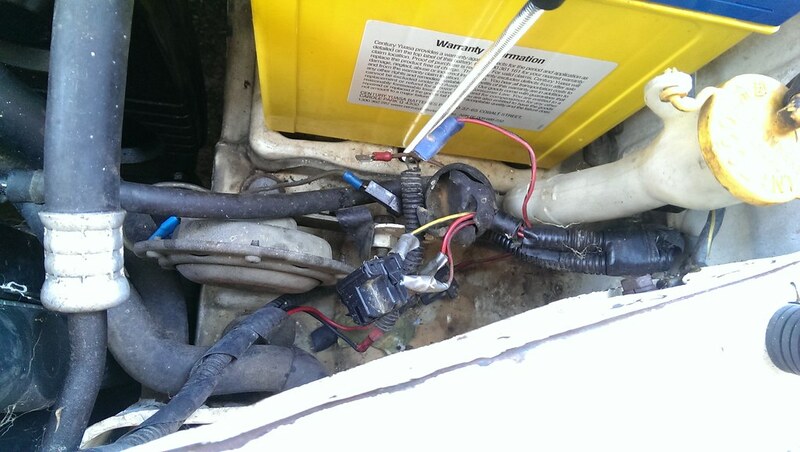 - Oil Sensor seems to be replaced with a aftermarket but that leads to no where..
- Car was run with NO coolant in WAIC.. I'll be working on the car everyday till I can't do much else but I'll keep updates for when I get to major milestones. O2 sensor in the manifold is a good indication it's a JDM motor. Oz RS's had it in the dump. But since the engine is naff anyway! Looks like you have a big refurb job on your hands! Take your time with it and get it back to it's former glory. It'll be a long journey, but there will be that moment when you step back, look at in admiration, and know the hard work payed off. It's a shame not much care was taken with it in it's past life. On the upside, at least it wasn't parted out like the rest of them when people give up on them. Damn that interior is mint, jelly. Other indicators, some jap engines will have alloy cam cover breather boxes, half moons and I believe most should have an alloy filler neck which yours doesn't appear to. If it's an auto GT engine it likely won't have an oil cooler or any of the closed deck cross hatching. If it's an Aussie engine EJ20BUB will be laser etched into the top of the blockon a flat section where the bell housing mates. What heads are on it 2 bolt hla heads with ribs top and bottom or single bolt heads with ribs only on the top half of can covers? 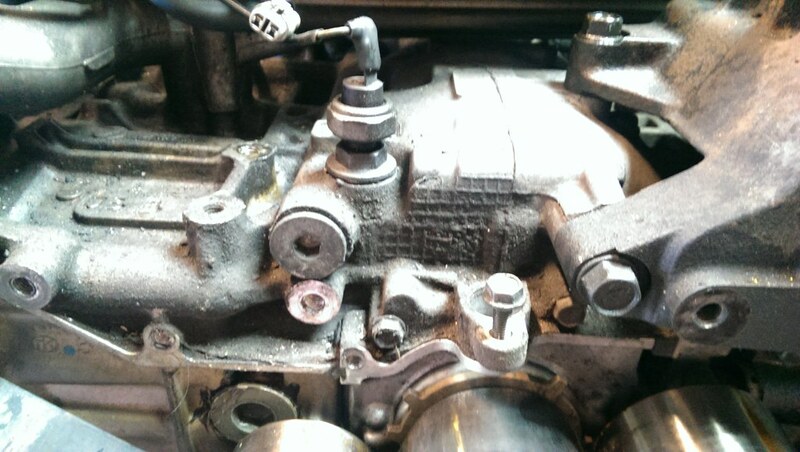 O2 sensor in the manifold is a good indication it's a JDM motor. Oz RS's had it in the dump. That makes sense. There's a past receipt I found from 2005 that says it had a Japanese auto engine put in it. 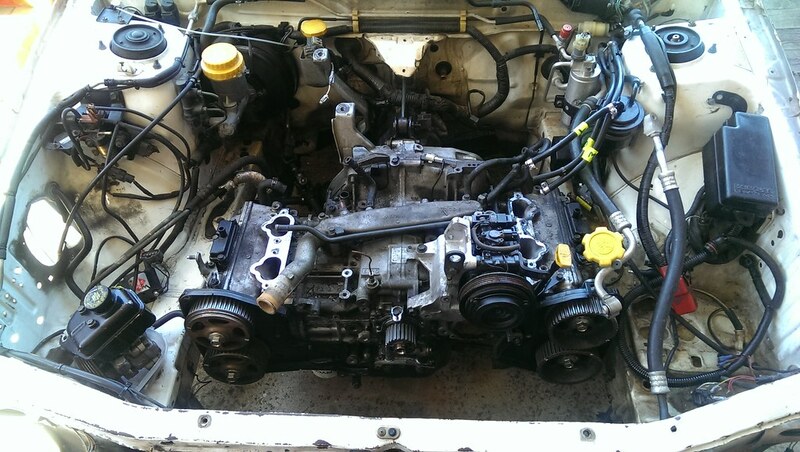 I found it's a Japanese auto engine with no cross hatching at the front so that must mean it's open deck block.. The heads are 2 bolts with ribs top and bottom. New engine acquired! 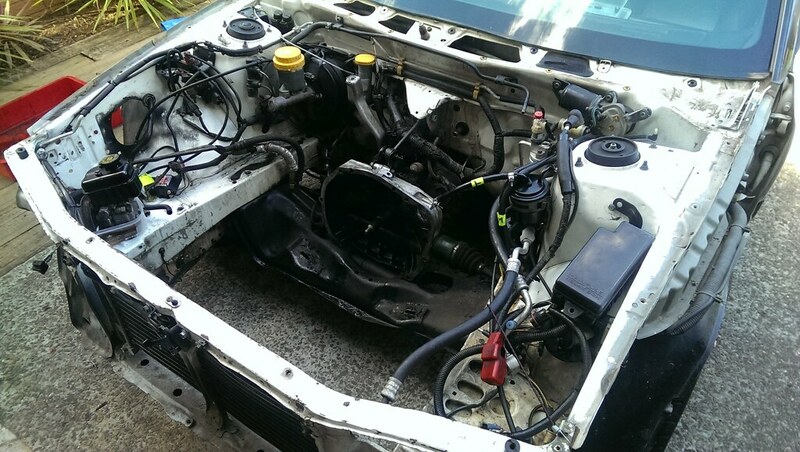 This one looks to be another auto Japanese EJ20G but it's got all the cross hatchings that means it's a closed deck. It's got the alloy oil filler and half moons but not the alloy cam cover breather box's. The manifold are also a little different so I'll have to strip both of them and use as much part from the original one as possible. I've started stripping both motor's in prep for the swap, just waiting on a engine crane. Most of the hoses on both engine have perished so I'll need to replace most of then. 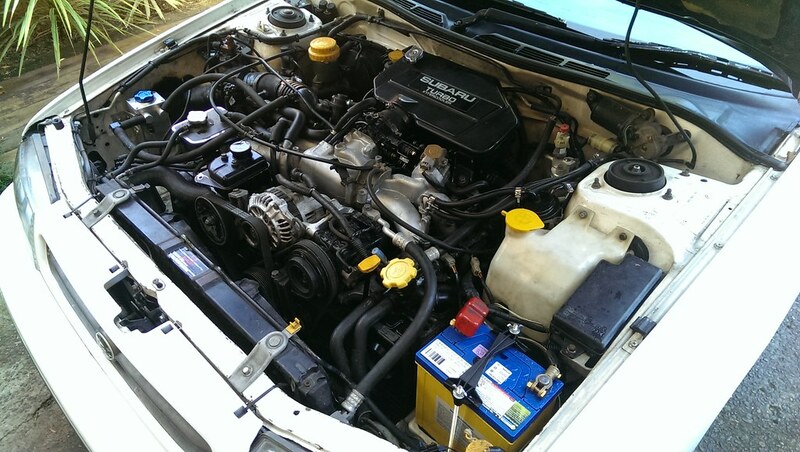 The plan is to have the engine in and running in the next few weeks then get start getting it ready for rego..
With the manifolds being a 20g they should be the same. But if they are different(I can't imagine it would be unless it is only a 20g bottom end) just use the original one in the car will just bolt straight on. Got stuck with nothing to do while it was raining earlier this week so decide to move the boost gauge to a more legal and less obvious location. Just got to get it finished with some vinyl or something to clean it up. Also discovered a bad leak from the rear window that appeared. Once it cleared up enough I filled the top area with silicone as it looked like the original stuff had just degraded over time. Will find out if it worked soon enough. Also was given a TD04L by a friend because it had a fair bit of shaft play. Bought a cheap rebuild kit which looked to be okay but was a huge pain installing. I'll need to make up a bend for the turbo since it's a straight entry, luckily there's a heap of information on how to do it properly around so shouldn't be too hard. Both VF10's were too far gone so this is mainly to get me though till I can get a TD05 and a VOS chip installed. Now for the main part. 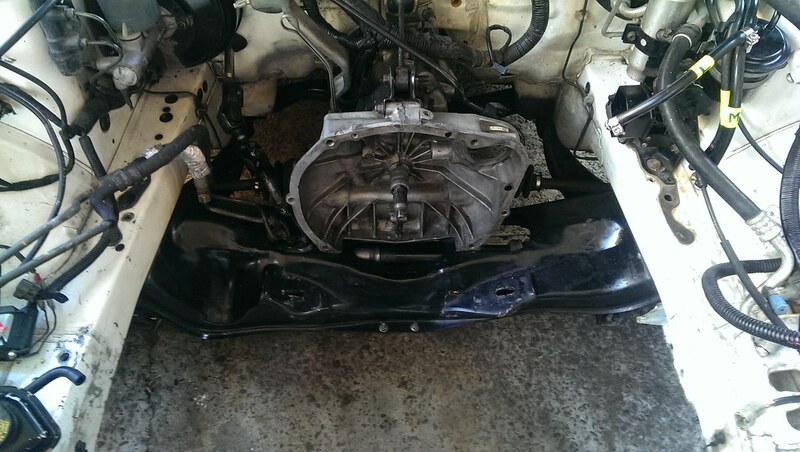 Lot's of work done today, stripped the old engine right down as much as possible getting it ready for removal. I've found lots of connectors with wires either just attached or completely broken so it's lucky I had to strip the engine all down in a way..
We expected it to take most of the day for removal but once the top gearbox bolts were undone it pretty much split itself off from the engine. Made sure the clutch fork was properly disengaged and pulled it out completely. Clutch is very rusty but looks like it's got a fair bit of meat left. Got to decide if I need a new one and also a new flywheel. Gave it all a good degrease and hose down ready for the new engine eventually. 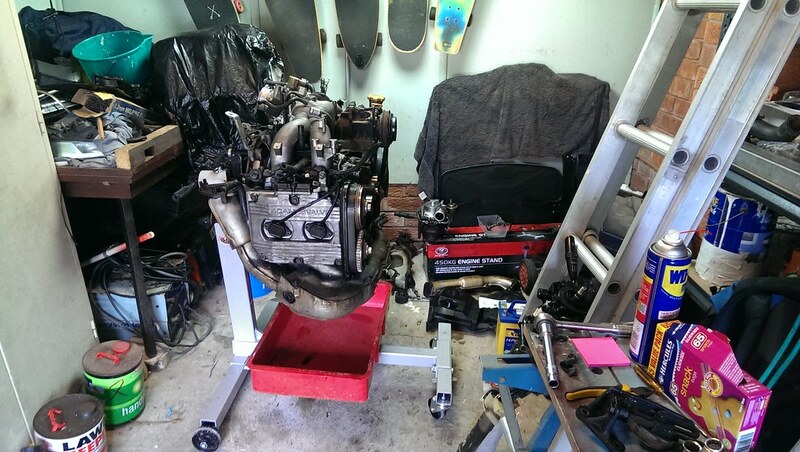 I'm hoping to have the new engine installed hopefully next weekend as long as I can get an engine crane from somewhere, we just used a block and tackle this time but I don't trust the support with the extra weight. Once the engine is in I'll be on the search for some either stock springs or king springs as the current ones are cut and sit way too low. Then check it all over and go for rego! Nice work. Curious as to why you removed the timing belt and so on to pull the engine out? It's running! After the last month and abit of working on the car it started second try after needing some petrol. Made sure the clutch and brakes worked then had a very quick run up and down the street.